Frédérique holds a Master’s degree in European Studies and a BA in Political Science from the Université Libre de Bruxelles. She has also completed a Complementary Master’s degree in General Economics from the University of Ghent. In addition, she spent a year at the Free University of Berlin as part of her undergraduate studies. 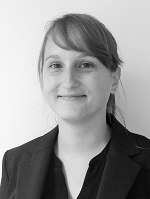 Frédérique is a Belgian national, fluent in French, English and Dutch and with a good knowledge of German.